Booting into the live environment and running various combinations of DISKPART and BOOTREC commands - sorry, I didn't document everything I tried. In the live boot I can see the SSD fine and it appears to be working. I've been able to move files around on it and manage its partitions and everything fine. None of these seem to have done anything. The repair option on the pen drive fails to run giving a fairly generic error. Am I right in thinking that this isn't entirely my fault and that it should have just worked out of the bag? Am I just being an idiot here? What now? Obtain the SATA drivers for your system, place them on a USB stick and install them when the option appears on the screen below. 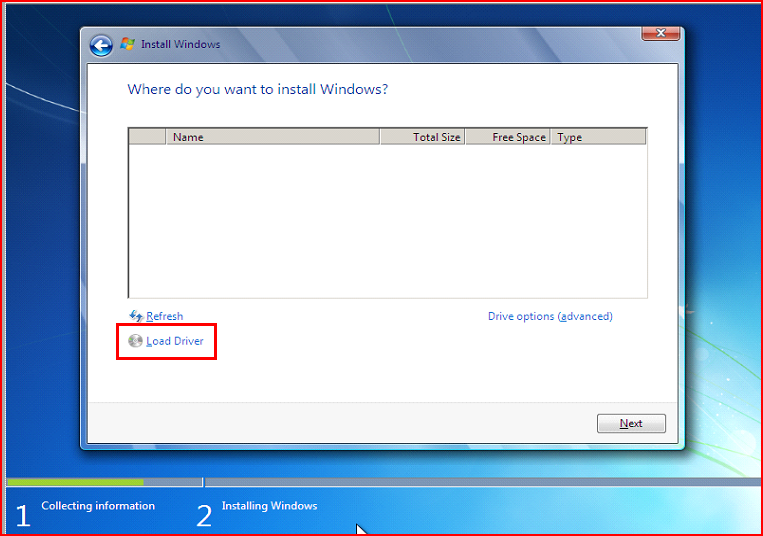 The drive should appear once the correct drivers have been installed. Not the answer you're looking for? Browse other questions tagged windows-7 boot ssd bootloader windows-installation or ask your own question.